Style and comfort combine in a relaxed camp silhouette, tailored in rayon blend. Sand washed for luxurious touch and drape. 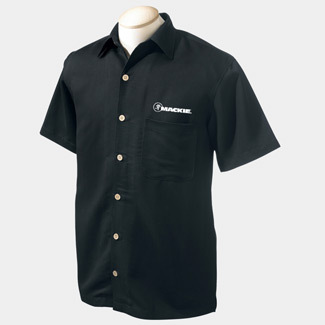 Features coconut buttons, left chest pocket and embroidered Mackie logo. Color: Black This item typically ships within 5 business days.